Can't believe our little munchkin is 6 months old now. It's true they turn a corner at this point and it seems as though we're saying goodbye to some things we used the first 6 months. 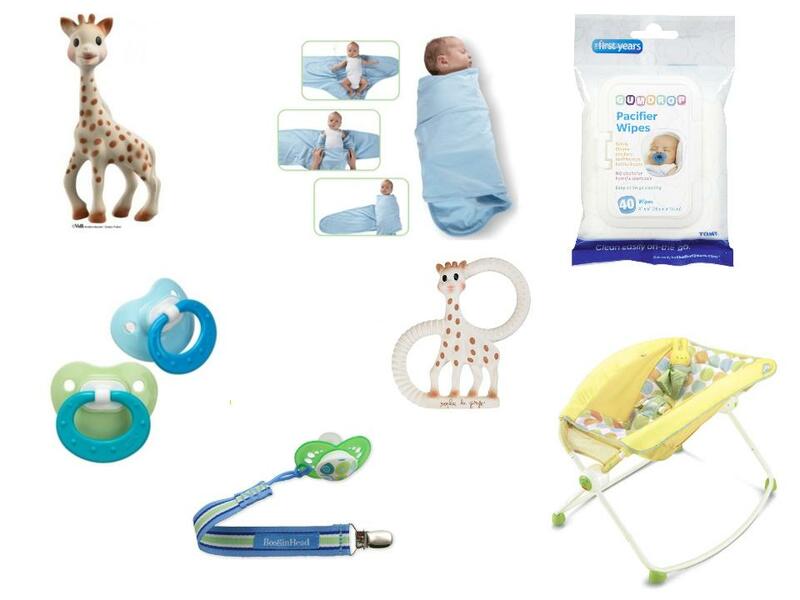 Here are some things we loved and definitely needed to get through the newborn stage. 1. Sophie the Giraffe- both the larger Sophie and smaller Sophie are loved in this house. Anderson really likes the smaller one now as he can grip it better and get a better hold on it to shove it in his mouth and rub on his gums. A great teething tool. Both were gifts and much appreciated as Sophie comes with a hefty price tag. 2. The Miracle Blanket- The name says it all. This will get your bundle swaddled nice and tight in a way they can't get out of for longer sleep. It also calmed Anderson down whenever he was upset as the idea is that they're used to being in confined spaces so they like being nice and snug. He's now out of this as he can roll over! 3. Gumdrop Pacifier Wipes. Your uncoordinated baby throws a toy on the ground? Better yet another baby sticks your baby's toy in their mouth? No problem. These wipes fit great in a diaper bag and clean up the toys easily when you aren't home and can't wash things off with warm soapy water. 4.Nuk Pacifiers- The only pacifier Anderson will take and thankfully one that has pretty solid designs. 5. Booginhead Paciclip I love these because I know when he spits his paci out it's not going too far...or on the ground. 6. Newborn Sleeper- Anderson slept in this next to me for the first 4 months or so. It's great because they get nice and snug and best of all since it's elevated you don't have to worry so much about reflux or putting your baby down after they eat too soon. It also rocks easily when you're half asleep you can just lightly rock them back to sleep while you're lying in bed! We also use it when Anderson has a cold to help with the drainage. He's getting too big for it now but thankfully it folds up and doesn't take up much room in the corner of the nursery. Here are some other things I loved, all related to nursing. That's a huge part of the first 6 months and something that doesn't become second nature for awhile- for both you and baby! 7. Mustela Cleansing and Soothing Wipes A friend recommended I get some of these and they were great. They're perfect for when you just need a quick wipe down for the baby, especially in the beginning when they aren't bathed as often. 8. 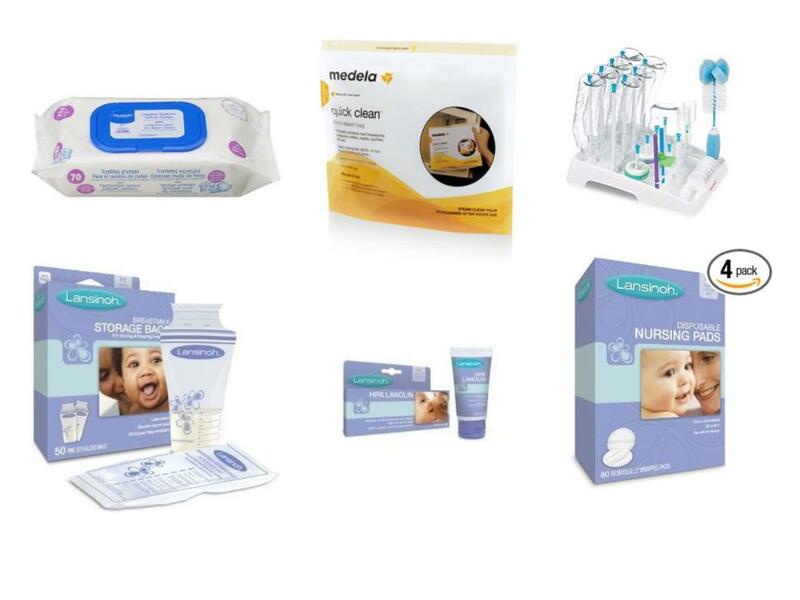 Medela Quick Clean Bags- Say goodbye to boiling every bottle, pacifier, or toy to sanitize them. Throw what you need to sanitize in this bag with 2 ounces of water and microwave for 3 minutes. Saves you a lot more time than 3 minutes. Each bag is good for 20 uses. 9. Munchkin Drying Rack- This drying rack is super small so perfect for when your counter space real estate is at a minimum. 10.Lanisoh Breastmilk Storage Bags- a brand a lot of Mom's love and for good reason. They stand up well in your fridge and freeze easily as well. 11. Lanolin- helps you get through the early days of nursing. Safe for baby and safe for you. 12. Nursing Pads- That's right- go ahead and order the 4 pack. These might just be worn by you every day for dare I say a year or more. They're thin so shouldn't be seen under your clothes. I like that newborn sleeper. I didn't really investigate baby stuff since Whit was our second, but I saw that after he was born and said I would have wished we had one. And we're a Nuk Pacifier family with Whit. Finn was a MAM boy. And Sophie was Finn's gift to Whit, though Whit has yet to get all that excited about it. So fun! Thanks for commenting!